A One-Day Live Event in Somerville, MA on March 31, 2019! Everyone has their own story. We as women put so much pressure on ourselves and its important to learn and let go of some things, to feel confident and to know that we have the ability to do better. I definitely feel like I got the tools to do that by being here. Are you living a life filled with ultimate passion and purpose? … to awaken each day with a fire in your soul? … if your environment supported your highest level with simplicity and ease? … to have your business and life aligned with your authentic self? … if you followed your heart’s desires? … to release the “should’s” that are crushing your soul? … if you embraced your greater purpose? … to have a conviction, a knowing, a True North that you are striding in the right direction? This event is for the entrepreneur, the professional, the seeker, the dreamer...this event is for you! Deep in your soul you know it is time to align with the whispers that tell you to make an impact, be of service, play bigger, live and work in alignment with your passion and purpose. 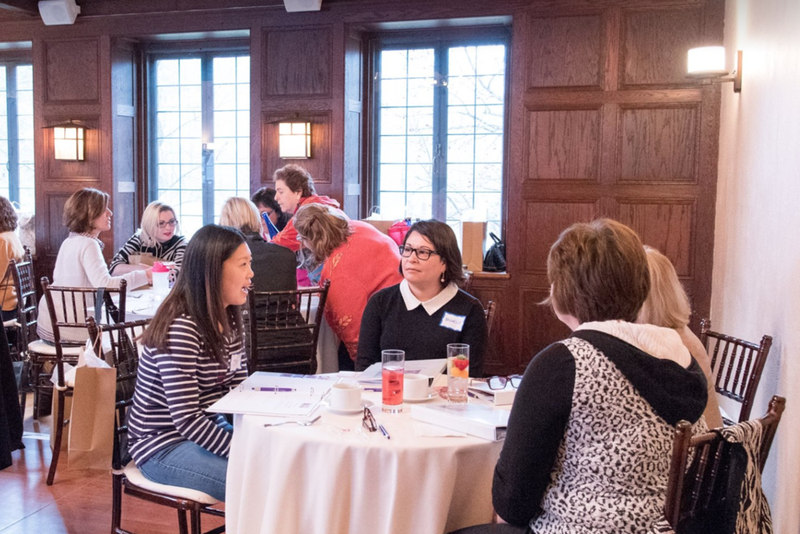 This event is for the woman that wants to gain clarity so she can take inspired action. This event is for YOU. I enjoyed the flow of the information and how they each layered upon each other. There was a sense intimacy and connection in the beginning which helped create a safe, space for exploration. Eileen Reed is a productivity & organizing enthusiast who deeply believes that a simple life gives you the freedom to create a joyfully full, deliciously meaningful and exceedingly abundant life. After 25 years as a highly successful Sr. Account Exec, Eileen’s “ah –ha” moment came, and it was loud and clear. 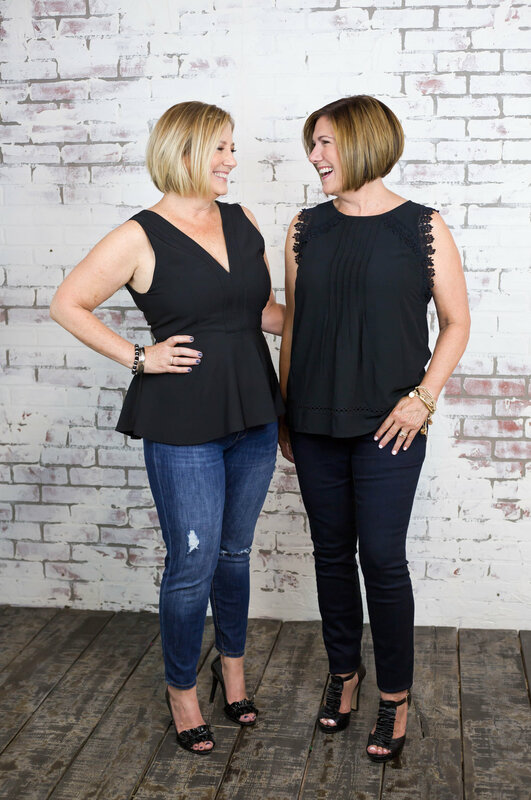 She got crystal clear on what truly mattered, walked away from her six-figure career, simplified her own life in countless ways, and in 2009 Simplify with Eileen was born. Guiding transformations beyond just cluttered desks or closets - and to cluttered relationships, obligations, schedules, perceptions - opens the door for us to truly shine, grow and embrace a life of ease and simplicity. When not working directly with clients to “say yes to less”, Eileen can be found letting her inner athlete come out to play, savoring connections with good friends, sharing life with her loving husband & feather babies, curled up with an inspirational read, leading workshops & presentations on simplicity, mentoring inspired women curious about striking out on their own, and excitedly working with Deborah on year four of Create Your Life’s annual transformational events! Deborah Buell is a nutrition and joyful living expert, writer and speaker. Her blog was named a Top Health Coach Blog by the Institute for the Psychology of Eating. She helps women end their patterns of self-sabotage and embrace becoming the healthiest and happiest version of themselves. Deborah’s mission is to empower women to silence the nutritional noise and trust their intuition and body wisdom to discover foods and lifestyle habits that work best for them. 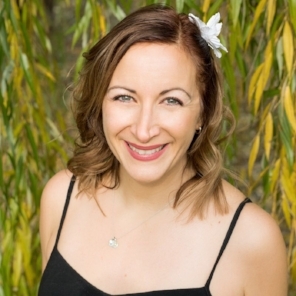 As a Certified Holistic Health Coach since 2007, Deborah understands that food, mindset, self care, worthiness, spirituality and connection cannot be addressed individually but must be viewed as a whole for true transformation. Lauren Capizzo is a Speaking Coach and Visibility Strategist who helps woman craft their unique message to connect with their target audience on a deeper level. She’s taken all her years of performing on the stage and in front of the camera, and translated that into an engaging presentation strategy for female business owners and professionals. She helps them simplify and strip away the barriers and tap into their inner confidence. She works 1:1 with students through her Big Event Coaching, to give her client the tips and techniques that make them presenting powerhouses. She is the creator of an online group coaching program helping female entrepreneurs increase their brand presence through videos, crafting a standout growth strategy, and gaining true audience engagement across social media. Tamara Arnold is a two time international best selling author, a Mamapreneur, Mental Health Advocate, Energy Reader and Spiritual Badass. Founder and creator of the Chakra Business Academy and The Magical Mastermind, she assists spirit driven entrepreneurs from all over the world to find their stardust and create an impact in the world with their soul mission. You do you, boo! Clothing that makes you feel comfortable and fabulous! Layers are always a good idea. Definitely dress in clothes that you feel good dancing in, showing up in and proudly being you in! Beverages and snacks to keep your mind and body energized, a notebook and pen, an open mind and a receptive heart. There is a lunch break in the schedule to allow you to nourish your body and make connections. The area has several restaurants within a short walk from Warehouse XI. We will provide a list upon registration. You are also welcome to bring your lunch. VIP ticket holders will enjoy priority entry and reserved seating at the front of the room. Use the extra time in the room to get situated and meet the other VIP attendees. You will attend an intimate VIP Cocktail Reception where you will be able to personally meet, get to know, pose questions to and have your photo taken with the Create Your Life Speakers, all while sipping bubbly and enjoying delicious nibbles. And … you will receive a very special swag bag curated especially for our VIP guests. All tickets are final sale. We do understand that life can derail the best laid plans, so we are happy to assist you in transferring your ticket. Just email us with your name and the name of the person you would like to have your ticket. The financial details are between the two of you. * All event information, including the schedule is subject to change. Yes - This Is For Me! A portion of the proceeds from Create Your Life 2019 will be donated to Dream Big! We believe in organizations that empower and enrich the lives of girls. Founded in 2010, Dream Big! is a 501C3 Boston based non-profit organization. Dream Big! 's mission is to help girls from low-income situations achieve their dreams by providing them with the basic items and fees necessary to enable them to participate in sports and physical activities that contribute to their health, education and overall well-being.